Home » »Unlabelled » She Buys A New Screen Door - But To Use In The Bedroom. What A Great Idea! She Buys A New Screen Door - But To Use In The Bedroom. What A Great Idea! Upcycling is a great way to give life to worn out items around your house. Old screen doors are often overlooked, but there are a number of ways to update them for your home! With some paint, a creative eye and hard work, screen doors can be transformed into decor for any room in your home! 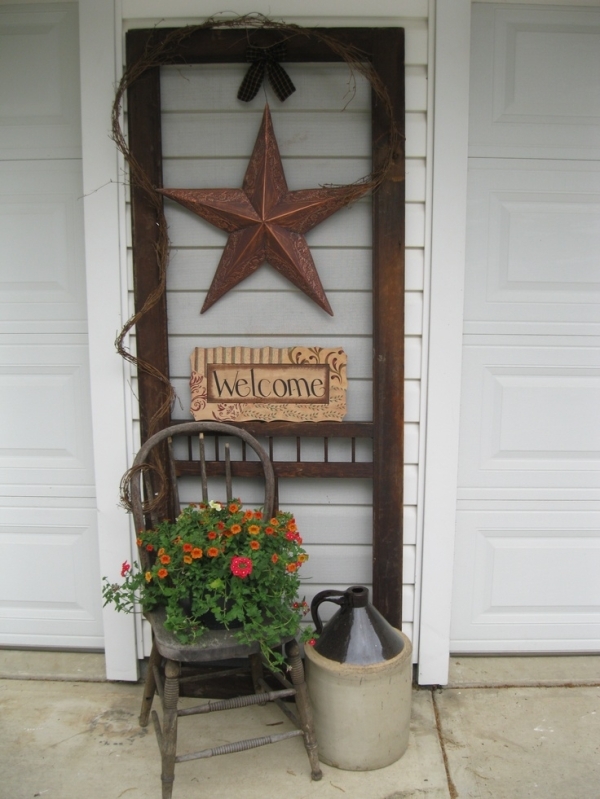 They provide a rustic charm and can be used for many different purposes. 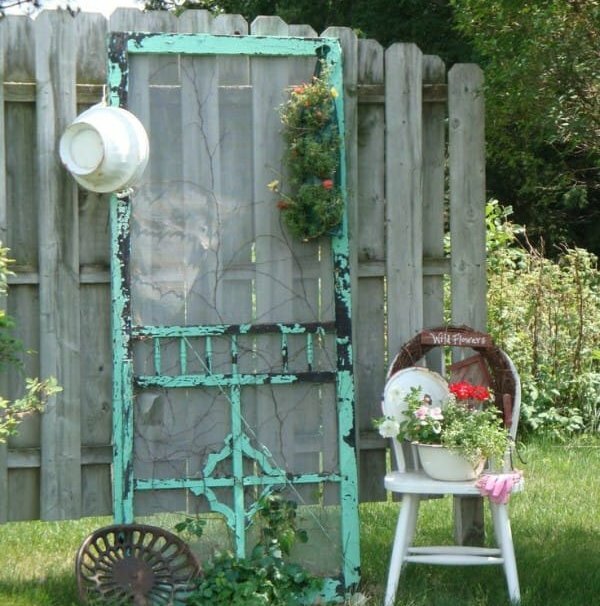 These ideas will inspire you to start hunting for an old screen door and see what you can create! This fantastic headboard is made entirely of old screen doors! The fabric is easy to interchange throughout the year and looks great against any wall. Outdoor space can sometimes be difficult to decorate. This project came together by removing the screens from the door and adding some rustic touches! 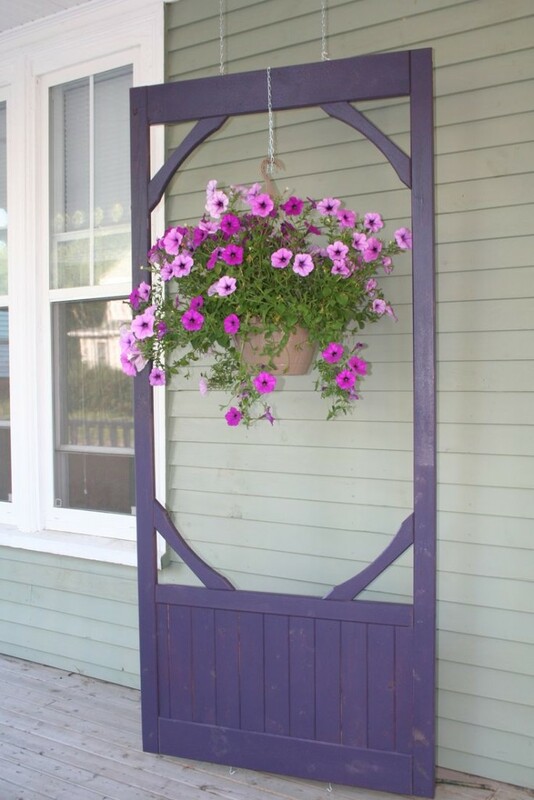 How about updating an old screen door with some purple paint? Hang it outside and add a planter. Grocery lists are easy to make but hard to keep track of! 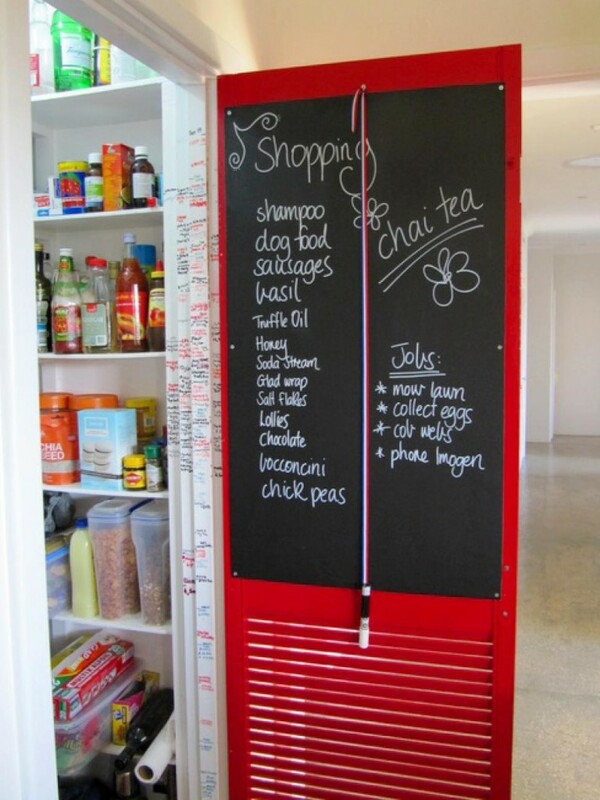 Try repurposing an old door with a bright color and some chalkboard paint for your kitchen pantry. It's a bold piece and the perfect spot to keep your grocery list. 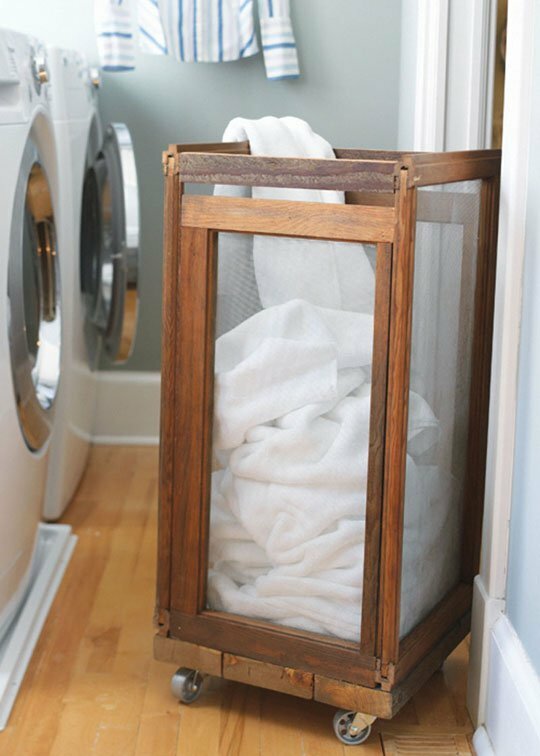 Why buy a typical plastic laundry basket when you can create your own? 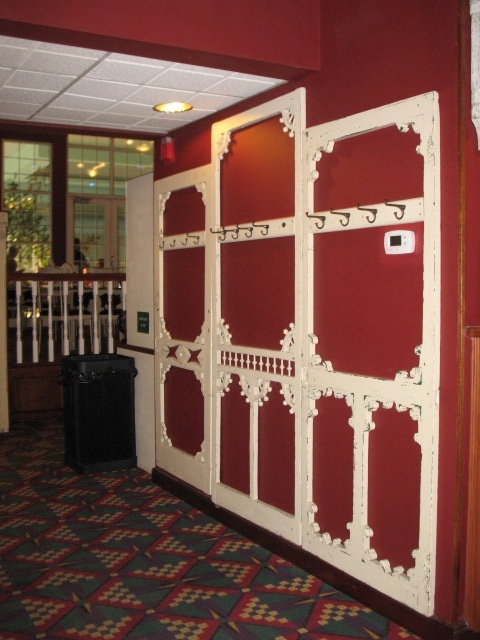 This idea fromApartment Therapy uses door screens for the sides! 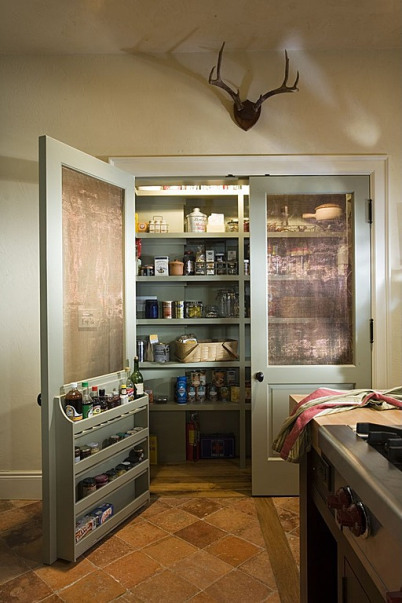 These screen doors have been updated to complete a stylish pantry. They provide a sturdy background for storage shelves and a busy family! 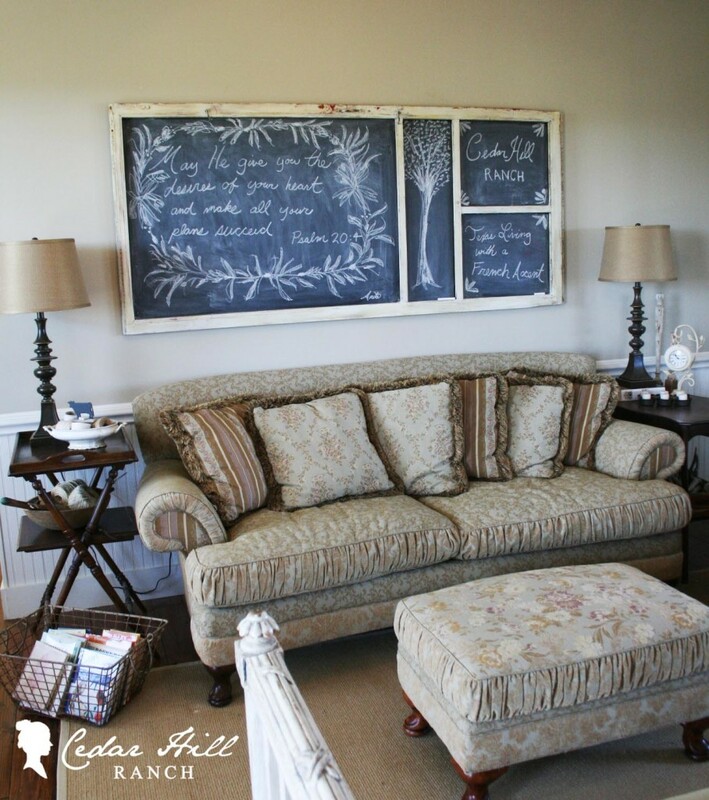 To create this chalkboard masterpiece, just follow the 10 easy steps from Cedar Hill Farmhouse. It's a great addition to your living room with the ability to customize the wording. 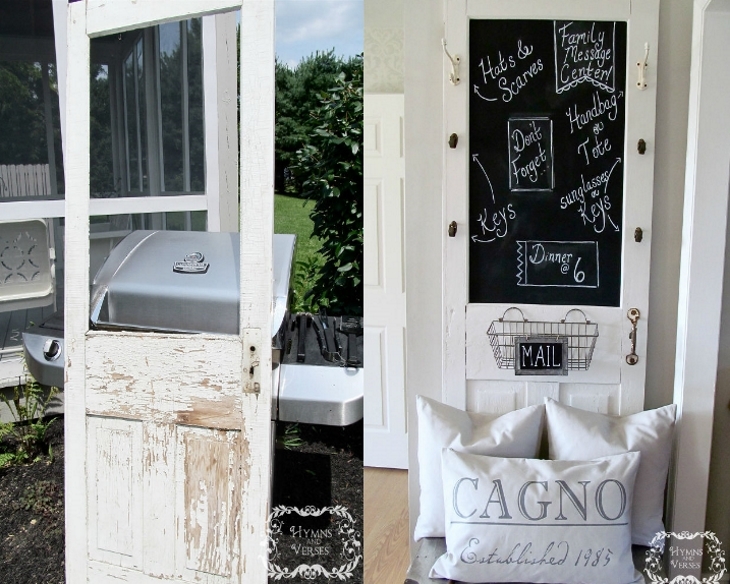 This old door was transformed into a family message center! 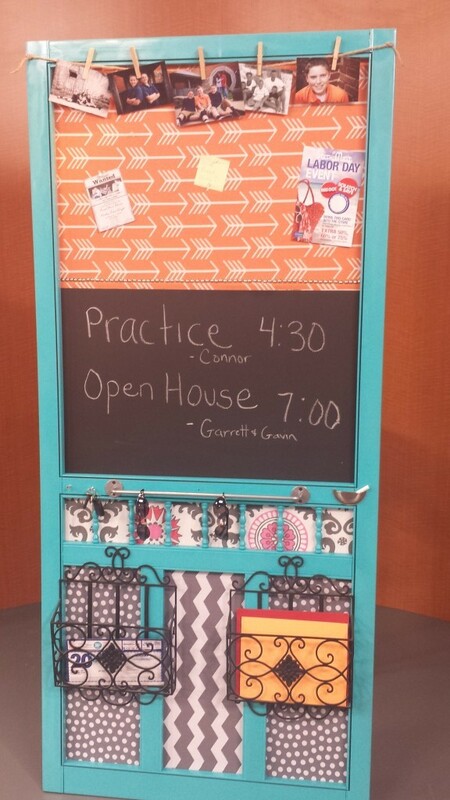 It's perfect for keeping everyone organized and looks great in the home. Find out how to make your own here. Here's another take on a family organization center! This one uses bright fabrics and colors to fit their families personality. 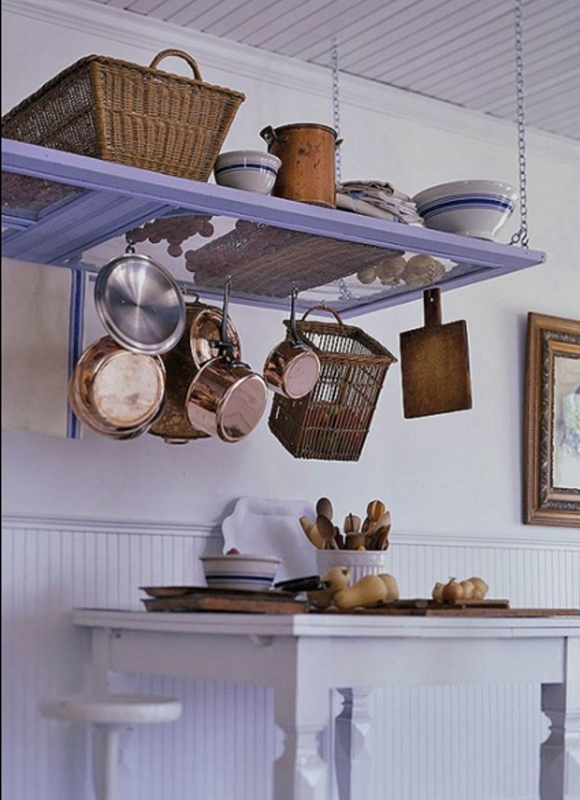 Create a one-of-a-kind kitchen pot rack! It looks whimsical hanging in the kitchen and is very functional. 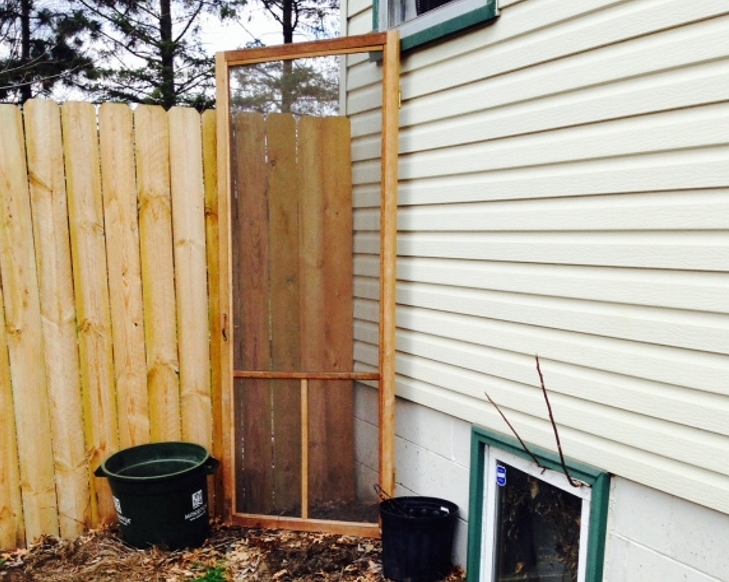 Screen doors can also be deconstructed for projects and used in new ways. 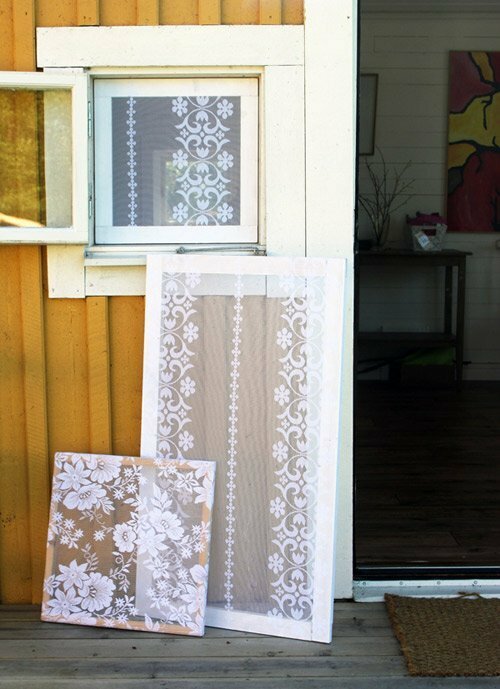 Try removing the frames to create these lace covered screens, it's a perfect housewarming gift or summertime screen swap! Door frames can easily be transformed into a funky wall piece. With a fresh coat of paint and brackets to mount, you can make your very own coat hook area! 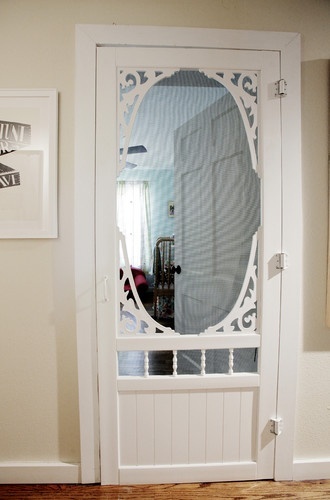 This screen door was upcycled for a baby's nursery! It gives the privacy of a door, but the screens allow parents to easily hear their crying baby. These ideas are sure to transform your living space and make the old new once again! Whether it's to get your family organized, or to add some new decor to your bedroom, screen doors can be used in many creative ways. Take a second look before tossing out an old household item, you never know what you could make it into.